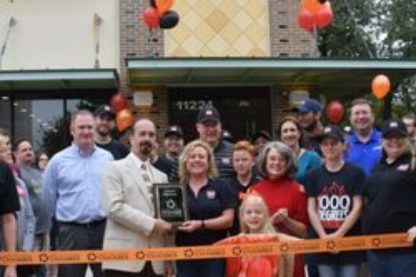 The value of owning a 1000 Degrees Pizzeria franchise. 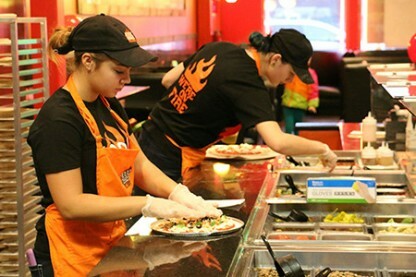 You’re ready to take a chance on the American Dream and make your way by owning a franchise. But which franchise has the most opportunity for you? There’s absolutely nothing wrong with established franchises such as Domino’s Pizza, Cici’s, Pizza Hut, Little Caesars or Papa John’s. 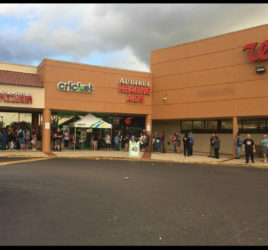 They’re all fine establishments. We just happen to believe that ours offers a bigger reward. Getting a piece of the market for an older product offering may work out. But new product offerings draw from the entire market. People like to try new things – and when they like it, they stay. Wouldn’t you rather draw customers from the entire market of pizza lovers—all 325 million of them? That’s the value of owning a 1000 Degrees Pizzeria franchise. But there’s more. We’re intent on providing the standard by which all other pizza is measured. We honor our customers with the best product that can be made – fresh, hot and delicious. A quality pizza can’t be made of frozen dough or manufactured in a factory hundreds of miles away. At 1000 Degrees our dough starts with "Tipo 00 Neapolitan Style" flour and gets better from there. Our proprietary proofing process virtually guarantees the best tasting dough/crust anywhere. From there we use an authentic italian "fork and dividing arm" mixer that allows our dough to remain "light-and airy". It’s a hands-on art that has been honored for centuries. We’re bringing that art back to America and building a loyal fan base everywhere we go. The best kitchens in the world have the best ingredients. It’s no secret, and neither is our success. Our dough recipe is authentic Italian from more than 100 years ago. Only Tipo “00 style” flour is mixed in a fork-style mixer to produce an airy, crispy, and exceptionally tasty crust. 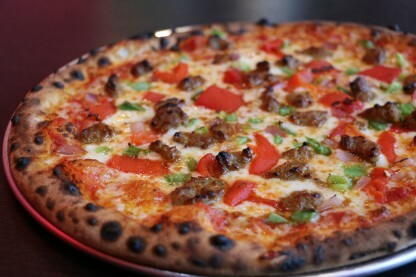 Dough is made fresh daily and topped with San-Marzano and Cherry tomato based sauces to create our special flavor base. Then we add quality toppings to order. 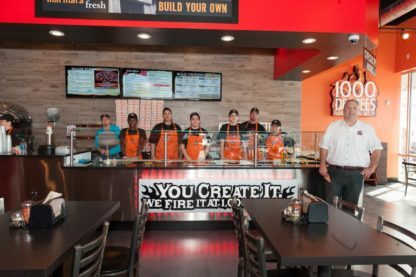 Ask anyone who owns a food franchise, and they’ll tell you that return on investment hinges on one thing: table turnover. How many times have you walked out of a restaurant because it was too full or the wait was too long? Can you wait two minutes for a fresh pizza right out of the oven? Most people can. And they love the idea of trying something they’ve never had before! Most people spend more time waiting for their pizza than it takes to eat it. That’s a thing of the past at 1000 Degrees Pizzeria, which spells profit for you. If you’ve found something easier to make than a pizza, we want to know about it. But we're making success even more attainable. Training - You'll be taught all aspects of proper restaurant management at one of our many successful locations. Our training not only includes at one of our other locations, our trainers will be ON SITE with you from the week before opening all the way to a week AFTER your grand opening. Rest Assured, we've got your back! Once you graduate our training program, you'll see how every detail has been meticulously chosen to make your success as trouble-free as possible. Financing - Third party financing is available for qualified candidates. Contact us today and we'll put you in contact with the right people. Can you take charge of a burgeoning opportunity and make the most of it? Are you the type who knows quality and appreciates it? If so, we want to talk to you. American tastes are changing. They want fresh – not frozen. They want it fast and good. Quality ingredients make a difference. Variety is always welcome. 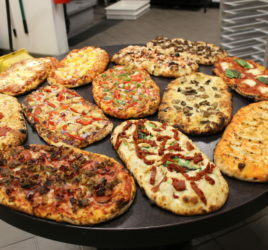 That’s what 1000 Degrees Pizzeria is all about. We’re looking for trustworthy and hardworking people to build on our foundation of quality. Thousands of premium locations are available at reasonable franchising cost. Make this market phenomenon grow. Innovation made America great. Be a part of it today. When opportunity meets preparation, magic happens. Take a step forward and make it happen for you. 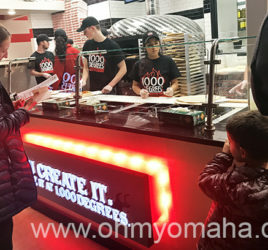 Have you previously visited a 1000 Degrees Pizzeria?